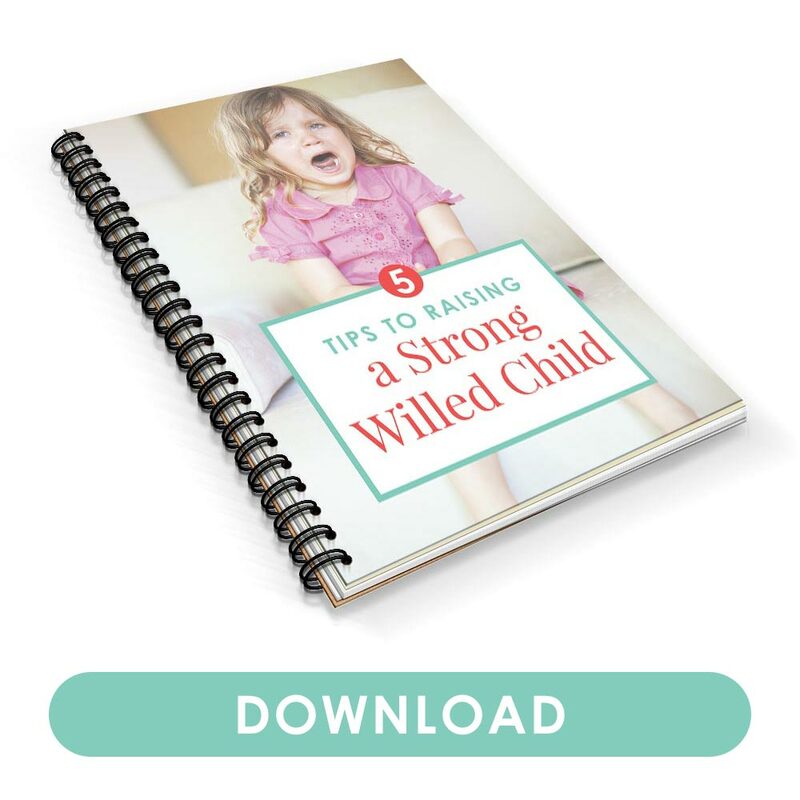 Worried because your stubborn 4 year old won’t poop on potty and is holding it instead? Discover the 6 likely reasons, and what you can do about it. There’s something about having an older toddler who still isn’t completely potty trained. The reassurances that your 4 year old will “do it when he’s ready” are starting to get old. And you start to worry that he’s the only one who still needs a diaper to poop. Maybe your 4 year old even knows to pee in the potty, but even until now, refuses to do the same with poop. Or perhaps he did poop in the potty in the past, but for one reason or another, is now stubborn about not using it. He holds his bowel movements to the point where the poop gets large and hurts when he finally does go. Except that only makes him want it hold it even more the next time, because he now associates pooping with pain. Or maybe he knows he has to poop, even tells you “it’s coming!” But when you sit him on the toilet, he refuses to go. What does he do instead? He poops in his undies and pants right after you get him off the toilet—and doesn’t seem to care. Perhaps he’s holding his poops for naps and bedtime, where he knows he’ll be wearing a pull up. Hiding the pull ups only backfired when he simply held his poop even more. And if you’re subjected to the “potty train before preschool” requirement, all this pressure only makes the situation worse. So, what gives? How is it that your 4 year old still refuses to poop on the potty, despite everyone’s reassurances that he’ll eventually “get it”? Why does he still hide in a discreet corner to poop instead of using the toilet? Of course, you’ll want to bring your concerns to your child’s pediatrician. She knows his history, and sometimes it’s worth that peace of mind knowing there truly isn’t anything wrong. But for the most part, as our pediatrician reminded us: your child won’t go to kindergarten wearing diapers. In other words, this will all work out, somehow, someday. But in the meantime, it’s good to examine what exactly is going on, and whether you can do something different to change your circumstances. Well, it turns out, you can. It would drive me nuts when I’d catch my son sitting on the toilet with his hips leaning forward and his legs dangling below the seat. He’d claim that no poop was coming out, but in the position he was in, no wonder. Our bodies need to feel relaxed in order to pass bowel movements. Any anxiety or expectations your 4 year old might have of pooping in the potty can easily make him feel tense. Instead, make sure he has something to distract him each time he sits on the potty. This might be small or thin books he can read, or simple toys suitable for the bathroom (no stuffed animals!). Even playing a movie on your iPad nearby can take his mind off of pooping. 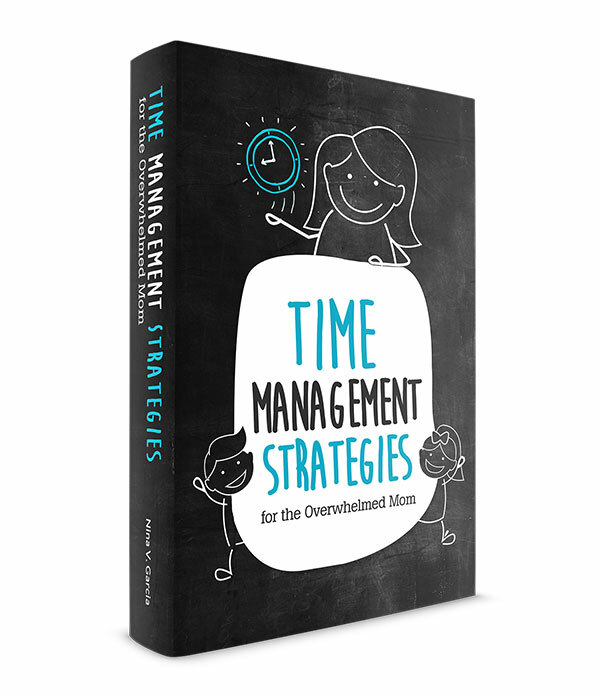 Have you asked your 4 year old to “take your time” or “take as much time as you need”? You likely wanted to make sure he didn’t feel rushed, or to reassure him that he can sit for as long as he needed to. Unfortunately, “time” doesn’t always translate well with young kids. Sometimes the lack of constraints can make pooping in the potty even more overwhelming. They don’t know how long they’re supposed to sit, or when enough time has passed before calling it quits. Instead, give your 4 year old a time limit. Set an alarm that he can hear for, say, 10 minutes. Ask him to sit on the potty for at least 10 minutes and see if anything comes out. That way, he doesn’t feel expected to sit all day long, while at the same time, will compromise to at least sit for that length of time. Routines and consistency help toddlers know what to expect and, more important, do things without too much resistance. When they’ve done the same things at roughly the same times for a while, they come to accept it as part of the norm. The same is true with pooping in the potty. One of the best things you can do is to make sitting on the potty a regular part of your child’s day. Regularly take him to sit on the potty either at set times of the day (for instance, a 12pm potty trip). Or you can take him before or after regular parts of the day (like sitting on the potty after every meal). Set a timer for a few minutes each time. He may not poop the first few times, but he’ll come to expect these scheduled potty trips as normal and routine. Does your 4 year old ask for a diaper to poop? For many parents, the thought of ditching diapers during the day completely feels impossible. After all, without diapers, your child will either have accidents or hold his poop until who knows when. But you see, it’s this back-and-forth with using diapers that has enabled his behavior to begin with. He has been led to believe that if he holds his poop in long enough, you’ll eventually relent and pull out that diaper for him to poop in. But what if you see if he’s willing to go a whole weekend without diapers—in fact, without anything? Many parents have successfully poop-trained their older toddlers by setting aside three days and keeping their kids bare-bottomed at home—no diapers or undies. Yes, you’ll likely have a mess (it’s good to come prepared for that weekend). But he’ll learn the sensation of what happens when he poops on himself, and more important, that he has no other alternative than using the potty. 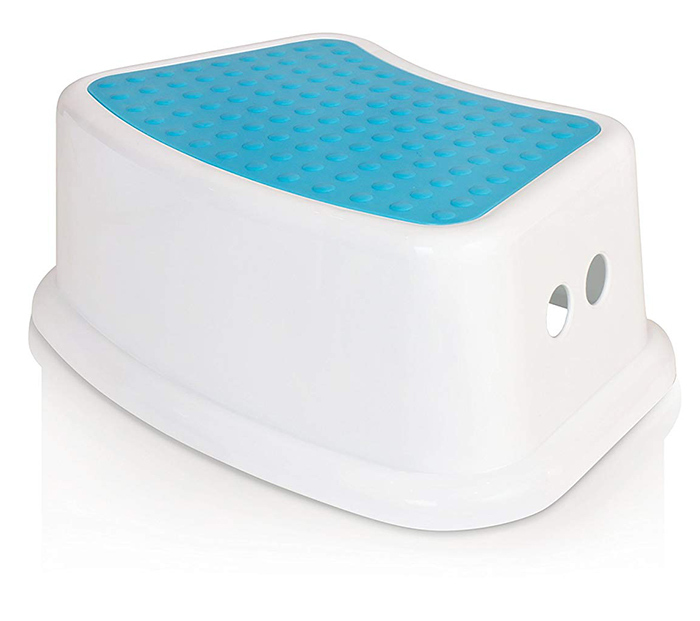 Get more tips on how to potty train in three days. Kids can sense what gets us riled up. They also feel more anxious about issues that they may not have felt anxious about had we not made such a big deal about it. And for some kids (like one of my boys), the more fuss you make, the less likely they’ll comply. Instead, make a point to “not care.” Be nonchalant when your 4 year old won’t poop on potty, and treat it matter-of-fact. Don’t let your emotions show through your face or the sighs you heave when she poops yet again in her undies. Instead, shrug your shoulders and pay it no mind. The same goes with overpraising her for the times she happens to poop in the potty. While positive praise reinforces the behavior you want to see, overpraising can actually add pressure and put the spotlight on what may have felt like a normal function. So yes, praise her when she poops, but keep it reasonable. If it’s out of character for you to do cartwheels and say “Good job!” a zillion times, she’ll likely sense the over-the-top reaction and actually retreat. As most parents have said, pooping in the potty simply “clicked” for their kids, especially once it was no longer an issue. 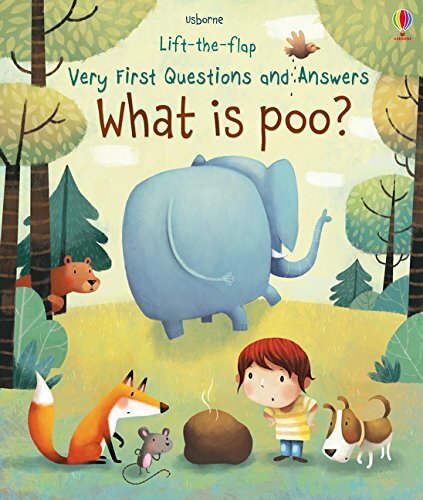 It can be challenging when your 4 year old won’t poop on potty after all this time. But as you can see, a few simple changes can be all it takes to encourage him to do so. 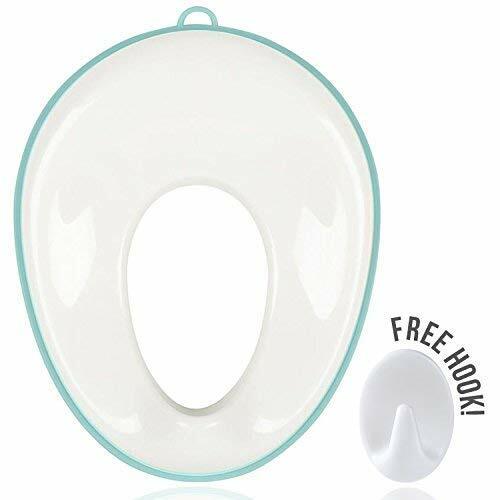 Make sure he has the right gear to help him poop properly, including “distractions” like toys or books so he feels less anxious and more relaxed. 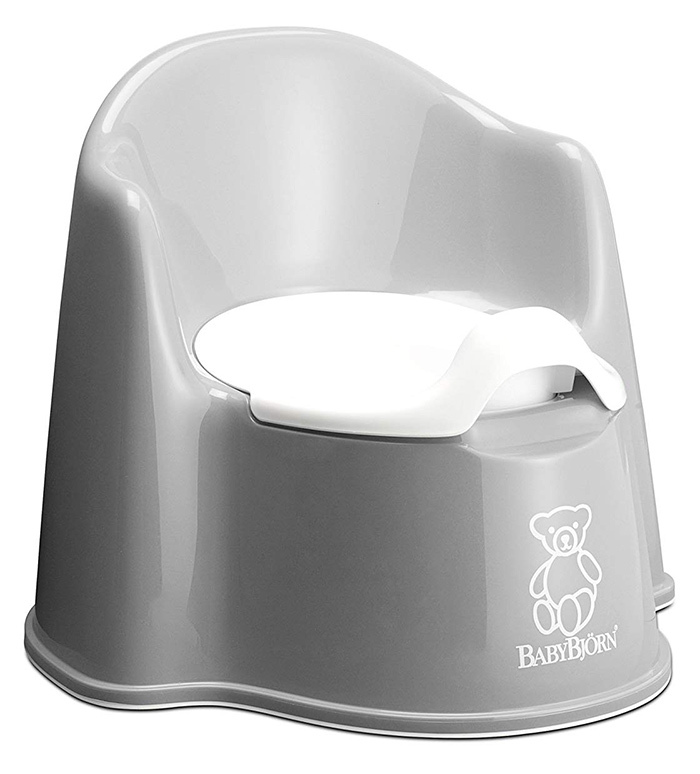 Take him on regular potty breaks, and set a timer each time so he knows he’s only sitting there for a set amount. Consider ditching diapers completely, even setting aside a three-day weekend to potty train bare-bottomed. And finally, be more nonchalant, whether it’s not feeling anxious or upset, or easing up on overpraising. And remember, in nearly every case, my pediatrician is right: your child won’t enter kindergarten still wearing diapers. Turns out, that elusive “he’ll do it when he’s ready” is actually—even if annoyingly—true. 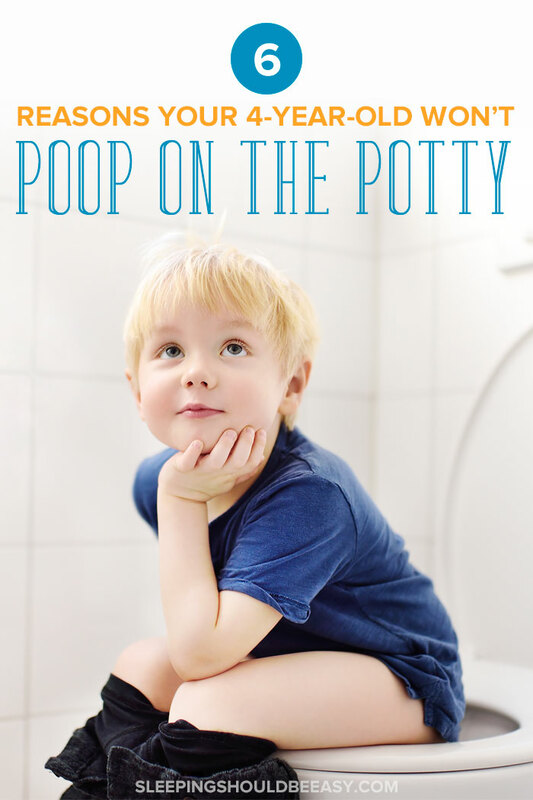 Did you like this article about what to do when your 4 year old won’t poop on potty? Share it on Pinterest and Facebook!